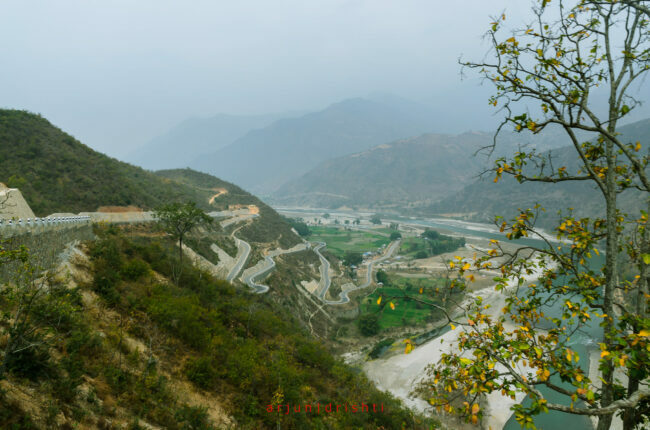 Directions: This is a 160 km highway stretching from Dhulikhel (30 kms east of Kathmandu) to Bardibas (where it meets the East West Highway). The most picturesque bends are in points around 70 kms and 110 kms (just down the Sindhulagadhi Fort) from Dhulikhel. 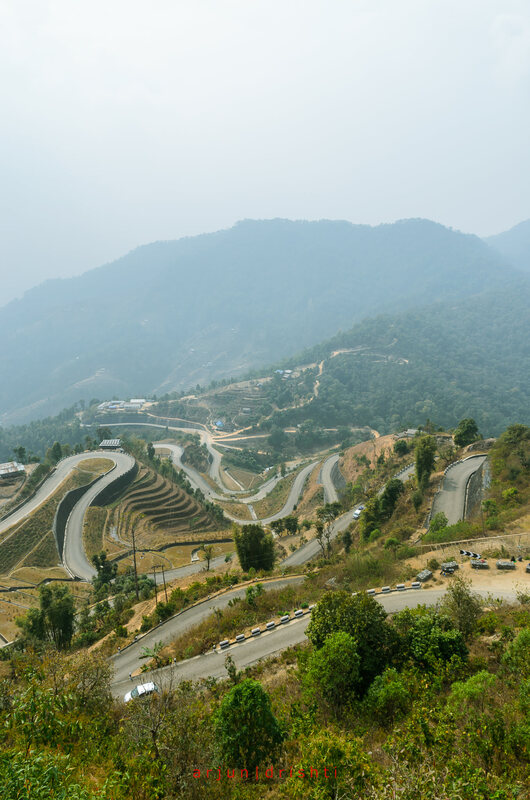 The newly completed highway offers an interesting and enticing drive with beautiful and picturesque bends. You have to be careful on your drive as the road with sharp bends is narrow and at few points it hardly accommodates two crossing vehicles. You can start from the either end of the highway (i.e. either from Dhulikhel or from Bardibas) and start early in the morning so that you reach the points before the sun is too harsh. Altogether the drive would be of around 4 hours (considering no stoppage time). You can enjoy good local food with fresh water fish curries on the road side joints at numerous locations across the highway. The best season would be September till early March. A wide angle lens is recommended.